Don’t believe Tiger Casino gas six games! It counts two different slot machines as individual games. 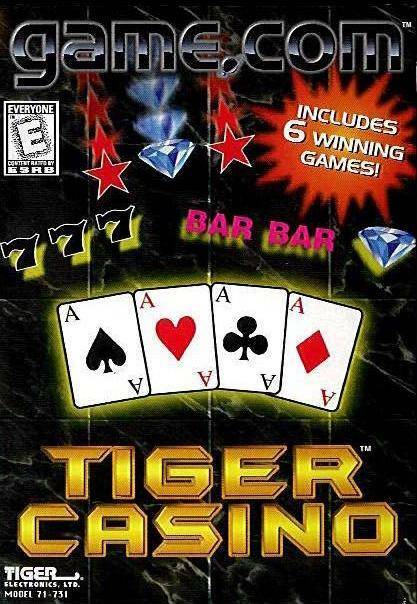 Tiger Casino collects five casino-style games for the less than adequate handheld game system. The variety is appreciated although I have qualms with the slow pace of the game, not to mention the negatives associated with the system itself. Included in Tiger Casino are poker, blackjack, hi-low (I know it as war), roulette, and slot machines. Winning it big is the objective and betting a lot is the way to do it, but max bets are 5 and with a beginning balance of 500, players will never go bust. The touch screen is the sole method of input and it works well for selecting the cards to hold or fold, placing bets, and navigating menus. My main beef with the game is the stilted flow of animations. These slow down the pace of the game whereas I’m looking for something that I can quickly place bets and make moves. Of the games Tiger Casino collects together, I do like four of the five, but because of the betting restrictions and the slow pace of the game, it’s not recommendable.